This fabric has such an interesting stripe to it. Within each stripe there are more stripes! There is about half a yard which can easily make a pillow. There isn't anything better than a fresh Moleskin notebook.. I use them for everything! 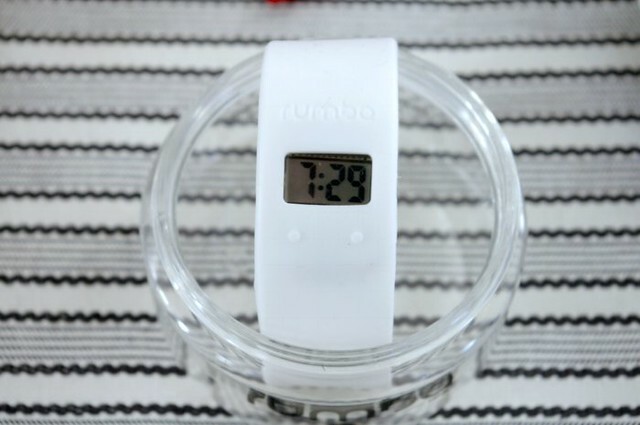 This watch was gifted for this giveaway by the folks at RumbaTime. These watches are so cute and very budget friendly. They'd be great for working out or wearing on the weekend. Or even layering with other bracelets, etc. Check out their site to see all the other colors and styles! Thanks, RumbaTime! This is a medium sized plate that would be great for a cocktail party.. or even for holding jewelry or keys! All you have to do is leave a comment in the comment section of this post! That's it! If you tweet about this giveaway with a link back to my blog, you get one extra entry. Once you tweet, come back and comment again. If you blog about this giveaway with a link back to my blog, you get two extra entries. Once you blog, come back and comment twice with the link to your post. If the 1st of the month falls during a weekend, the giveaway will be posted on Monday. The giveaway will end on the 10th of every month at midnight EST. Check back on the 11th of every month to see if you won! The winner will be chosen at random via random.org. Thank you for reading my blog! Good Luck! If you'd like to have one of your products featured on my monthly giveaway, please email me at brynalexandra at gmail dot com! I love the navy and red nautical look of your giveaway. I'm fairly eclectic, but nautical is a look I'm always drawn to. what a wonderful giveaway! thanks so much!!! Love the navy and white--especially that plate! Love the plate! Too cute! I love that you have monthly giveaways! So great to look forward to them! i tweeted with a link back to your blog! love it all! so gorgeous! I love this preppy, summery giveaway. Especially the watch. 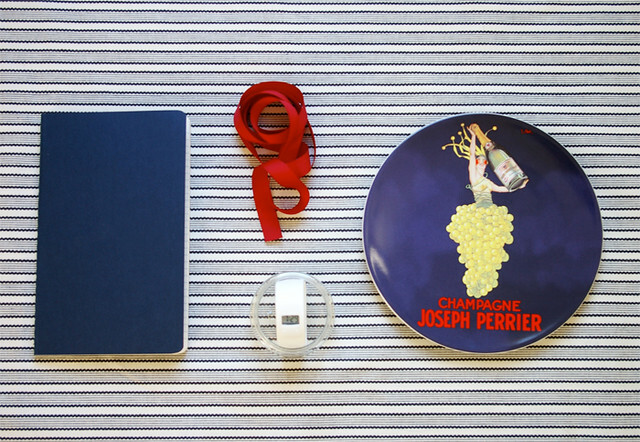 Love this giveaway, especially the notebook and the watch! Super cute! The vintage plate and watch are great finds! I love the vintage plate. What a perfect little package. I love everything in it, and that vintage plate is screaming my name, really. Screaming. Do you know the name/maker of the fabric? It's lovely. I love this plate - so vintage! Love the crispness of the red, white and blue! Love it all, especially the watch! just tweeted w/ a link to your blog! We just changed our bedroom to navy, taupe and white; however I never thought to add so red to it as an accent. I am so excited to get some red pillows to brighten it up!!! Thanks Bryn! Great collection of items! The red, white, and blue feel like summer to me. Love your choices, it is like an instant collection, which I am ever tempted to buy! Very Very cute giveaway!!! Thanks for the opportunity, and all the great decor you post daily!!! Choose me, choose me! What cute stuff. I love your blog. great ideas! thanks for the opportunity! Navy will always be one of my favorite colors. Love the watch too! I've been wanting stuff like this for a while! What a fun collection of items! Thanks for a great giveaway. I love the navy colors in this giveaway!! I love your blog! Such cool things to giveaway! Love it, as usual. Thanks, Bryn! What a nice giveaway! Would love to win. I hope I win this, I looove navy! Currently adding more blue to my bedroom. I love your giveaways! And anything that has a navy moleskin in it! Cute - love the navy and white classic combo!